One of the first steps in fusing fabric is to apply the glue to the fabric for 5-7 seconds with a hot, dry iron. Seems simple, right? But I have discovered that in different regions of the country, people count at a different pace. So 5 seconds in Alabama is not 5 seconds in New York City. Therefore I have implemented the Chicago School of Fusing Method of Counting! Count out loud. If you do this rhythm 4 times correctly, a total of 6 seconds will pass. Now draw a straight line on the non-glue side of the fusible web. 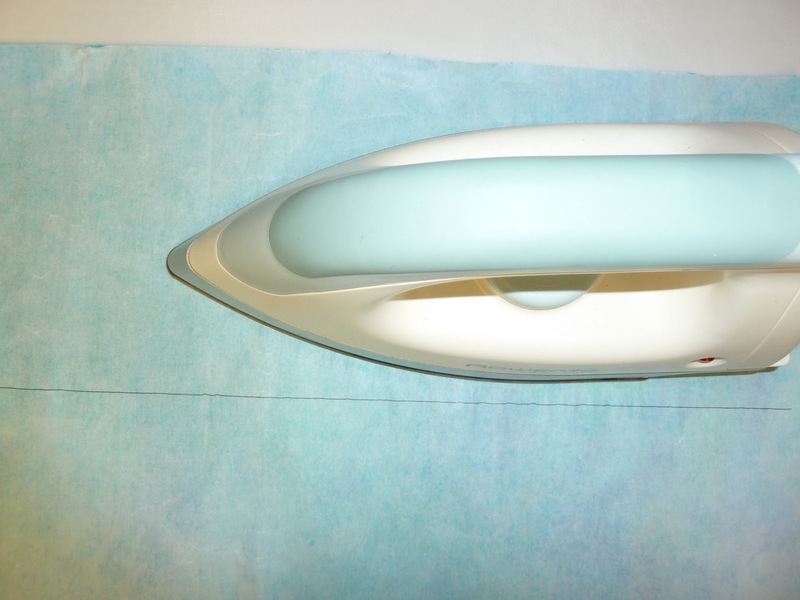 Place the glue side of the fusible web onto the fabric. 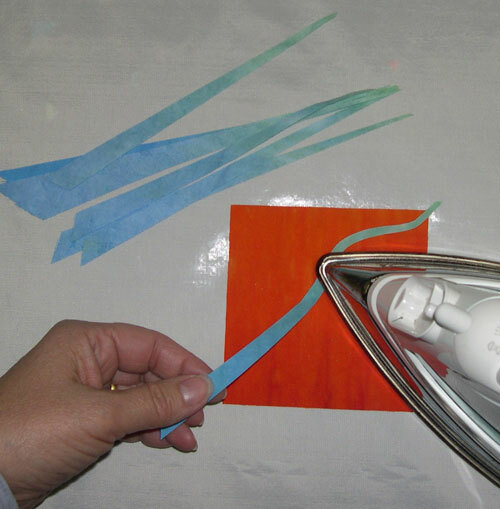 Place the hot (cotton setting) iron on the right side of the line. Begin the polka. Repeat after me: 1,2,3,1,2,3,1,2,3,1,2,3. As you begin your 1,2,3s glide the iron across the line so you end up with the line on the right side of the iron by your last 1,2,3. There! Not only do you have the correct speed for fusing but you can dance as well. Need to make waves with your fabric? The answer is bias fusing. Bias fusing is a method of taking a straight strip of fabric and curving it as you fuse. It is magic! And therefore dangerous. So stand back as I show you how to make waves like those in the vase above. 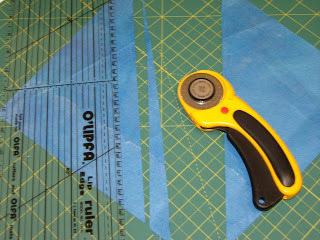 1.Cut a square of fused fabric from corner to corner to form 2 triangles. You are cutting the square on the bias or at a 45 degree angle to the grain of the fabric. 2. 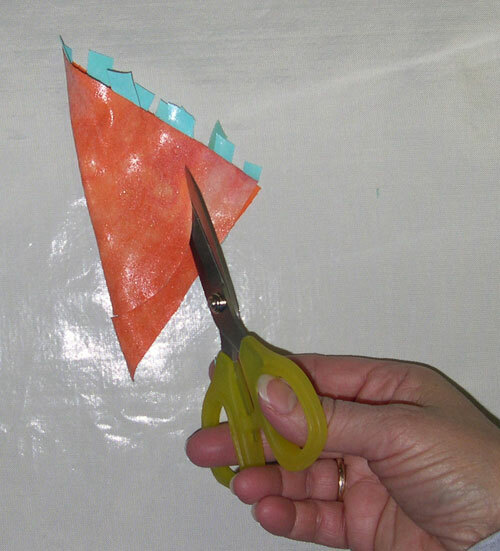 Cut a set of straight strips that taper from a point to about 1/2″ across from the bias edge of each triangle. 3. Clean your iron! 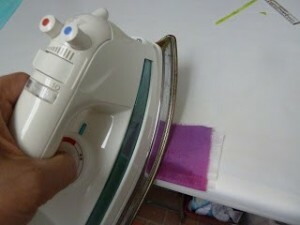 You must use a clean iron to fuse the bias strips or I guarantee you’ll get gunk on your fabric. Here’s how to clean your iron. 4. 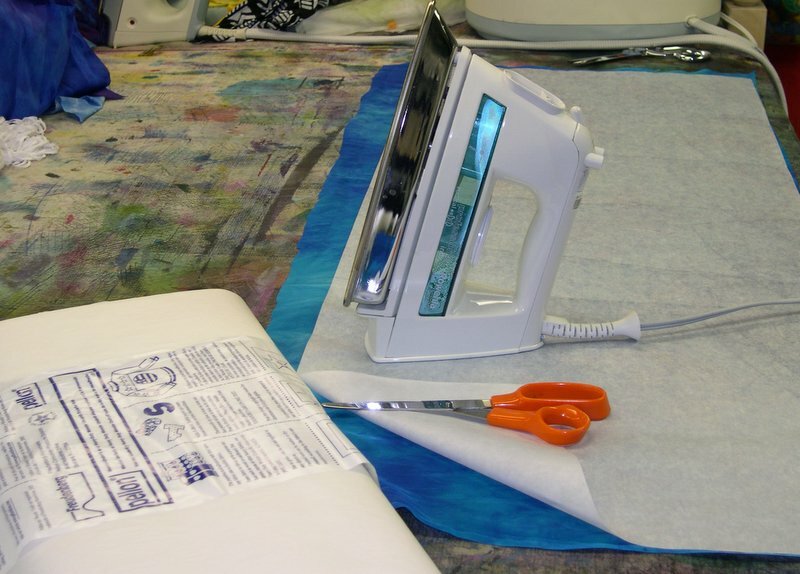 Iron a square of fused fabric to a Teflon sheet or a piece of silicone release paper. 5. Tack one of the bias cut fabric strips onto the edge of the background fabric. 6. Slowly fuse and curve the bias strip across the background square. 7. 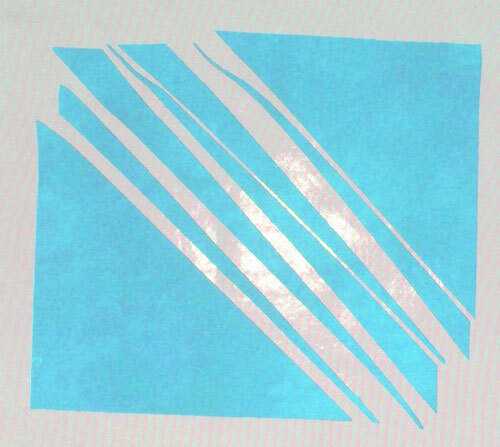 Continue to fuse more bias strips across the square. 8. 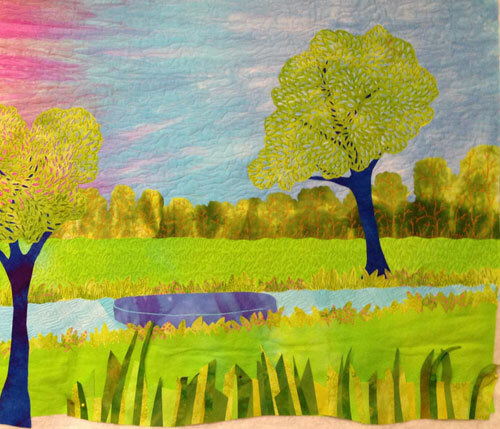 After the fabric cools, remove the bias fused collage from the paper. 9. Fold the square from corner to corner with the glue sides out. 10. Free-cut a vase shape from the folded square. 11.Stick some leaves and flowers in the vase, put it on a table, and call it done! One of the hazards of making a fused art quilt is the dreaded frayed edge. 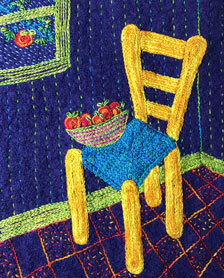 Fabric shapes with threads sticking out like whiskers detract from your gorgeous art work. 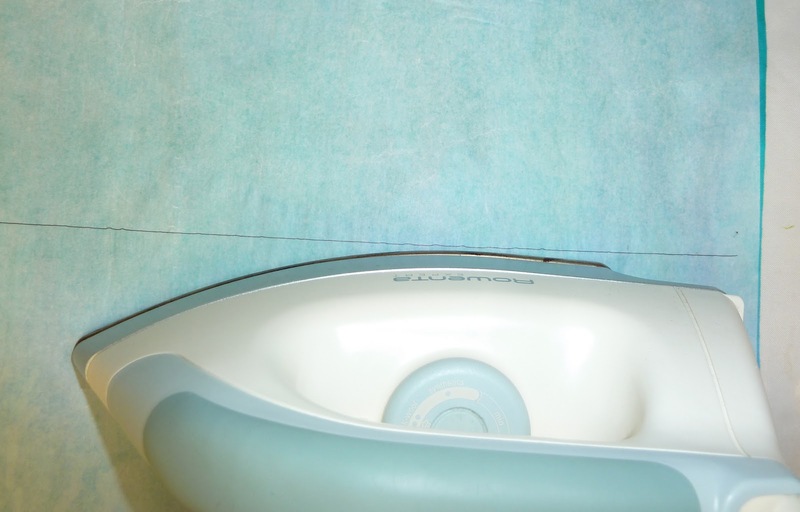 You want a close shave, fabric edges that are cleanly cut. Here are a few tips to avoid the dreaded frayed edge. Use sharp tools. Sharp scissors and rotary cutters give you a nice clean cut. Dull tools fray fabric. Practice cutting shapes in one long motion. 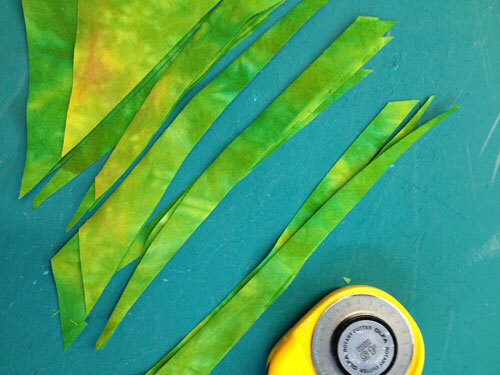 Starting and stopping while cutting shapes with scissors leaves uneven, ragged edges. 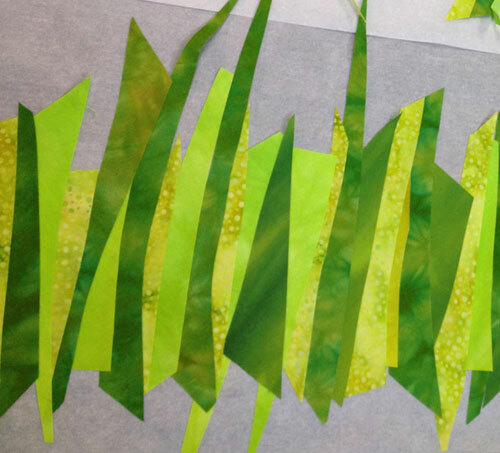 When cutting long and skinny fabric shapes, cut the fabric on the bias. 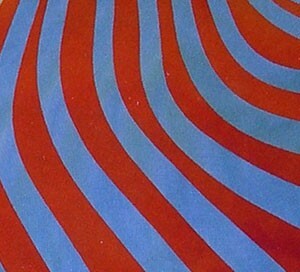 A bias cut fabric is cut at a 45 degree angle to the grain of the fabric. Bias cut fabrics don’t fray. To find the bias cut a square of fabric using the selvedge edge of the fabric as one side of your square. Cut across the square from corner to corner to form 2 triangles. The long sides of the 2 triangles are the bias edges. It’s so nice to have a stock pile of pre-fused fabric scraps and collages to play. 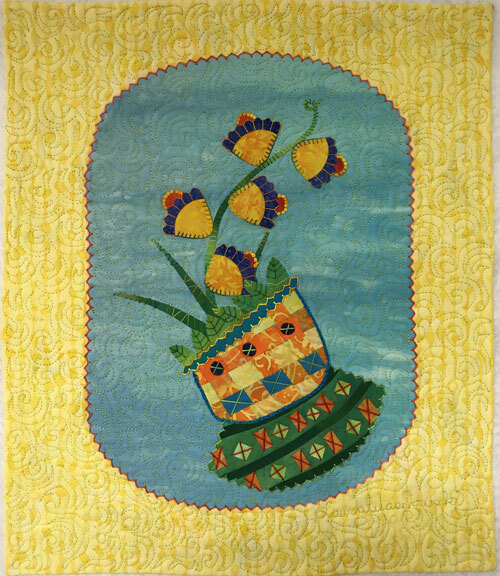 It’s my favorite way to improvise new quilt designs.You could say that all of these fabrics have been fused for my art making convenience. Here’s the last design that has sprung from that heap of fabric. 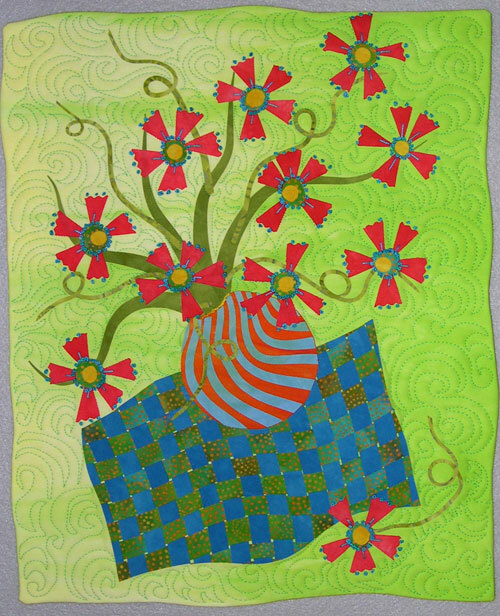 It’s called Spring Blooms #8 and is my way of celebrating the spring blooms in my garden. Spring! At last!